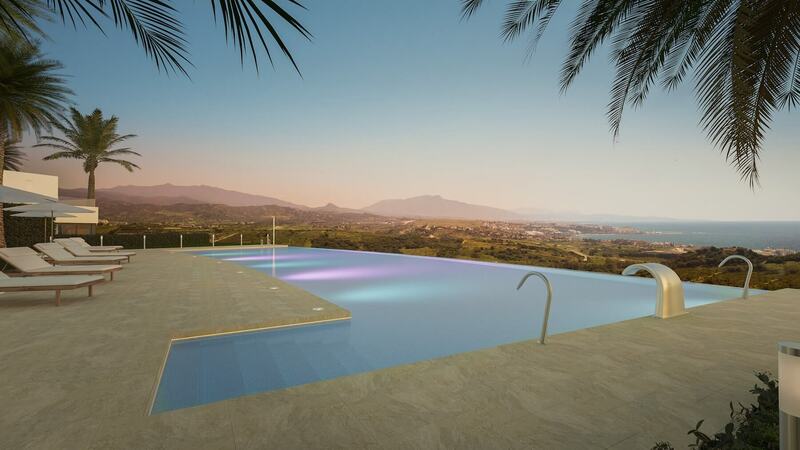 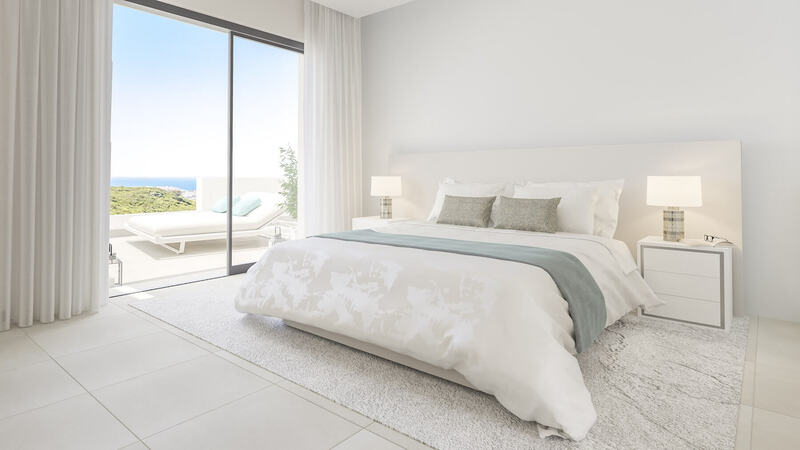 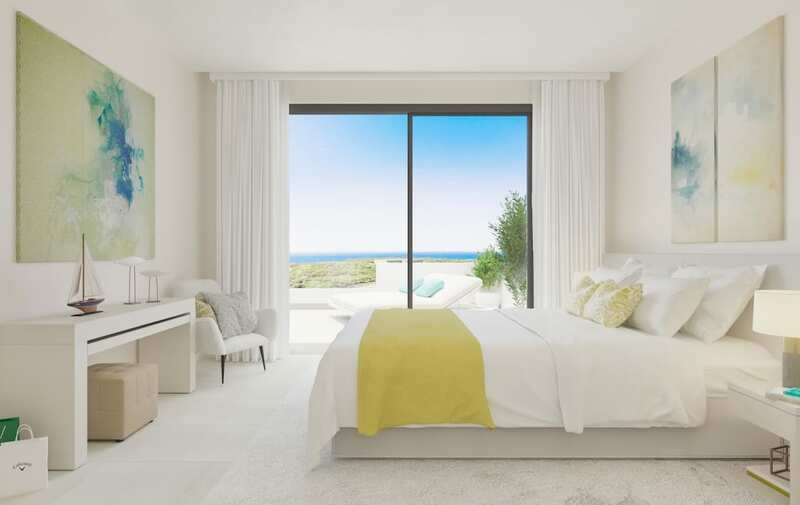 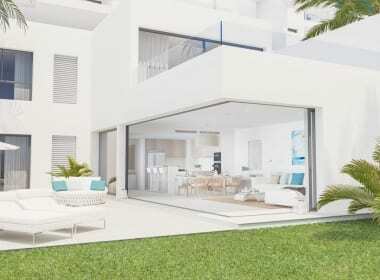 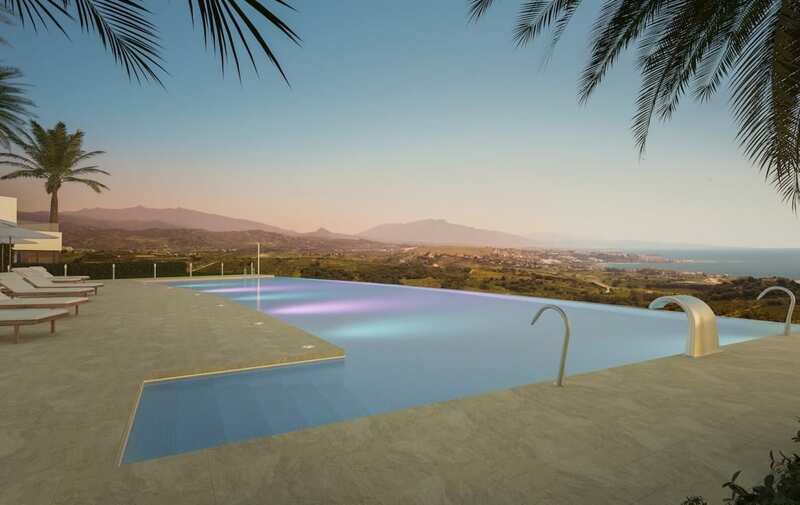 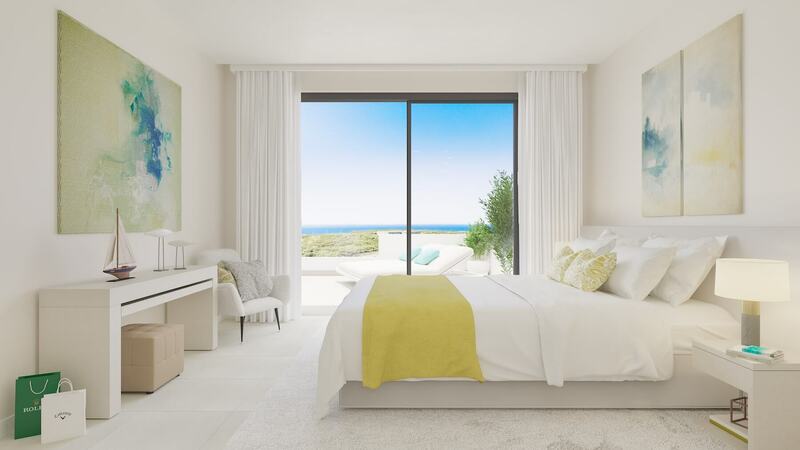 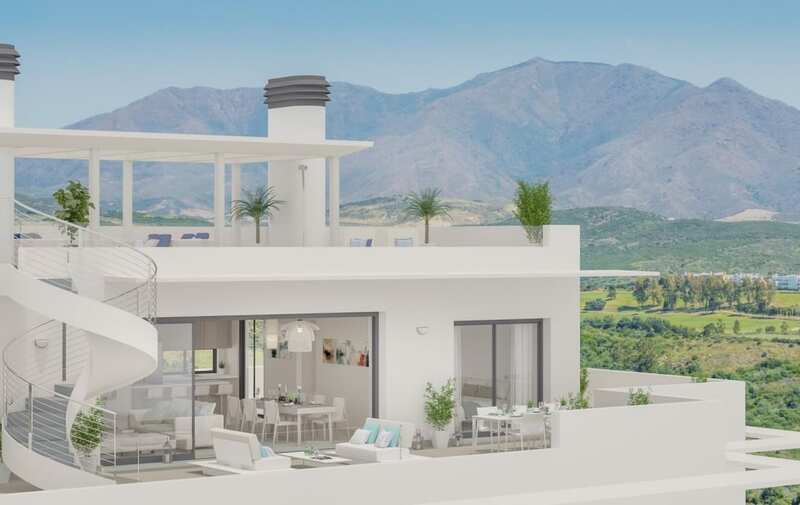 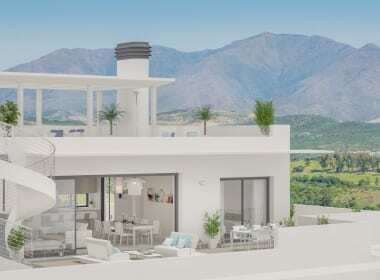 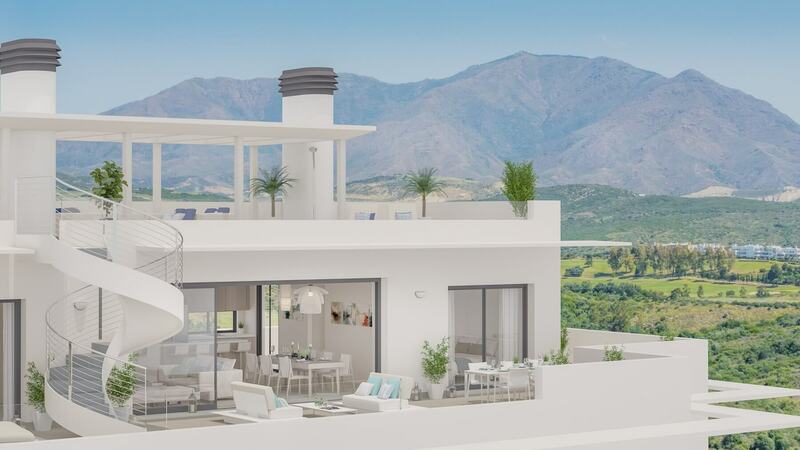 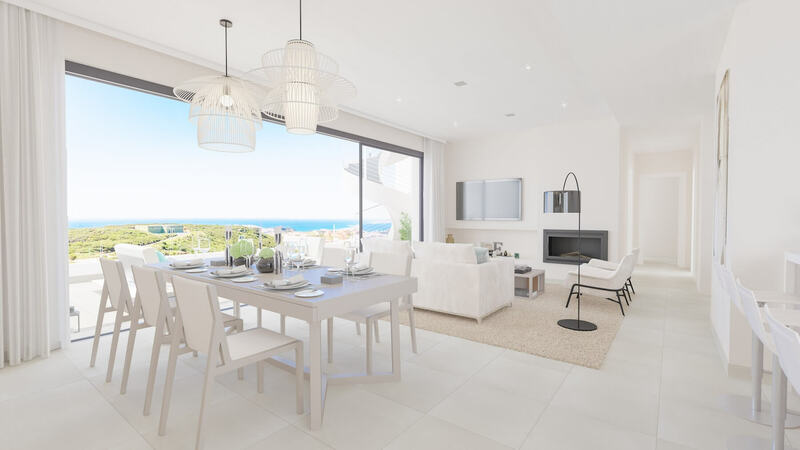 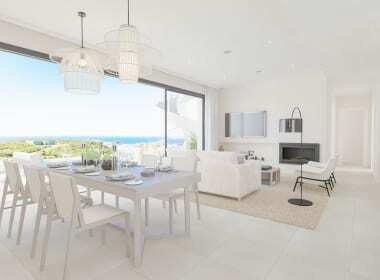 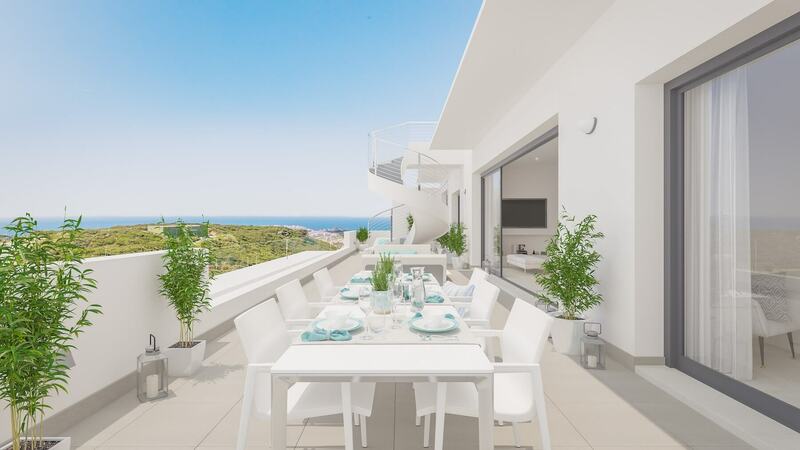 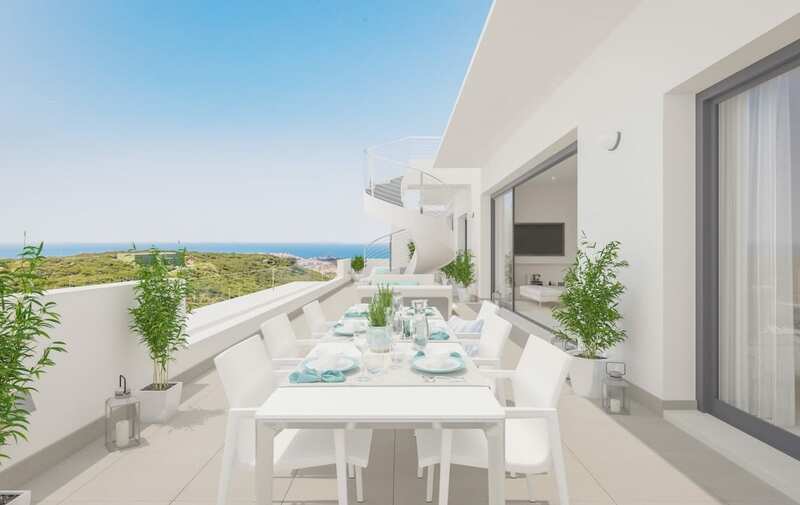 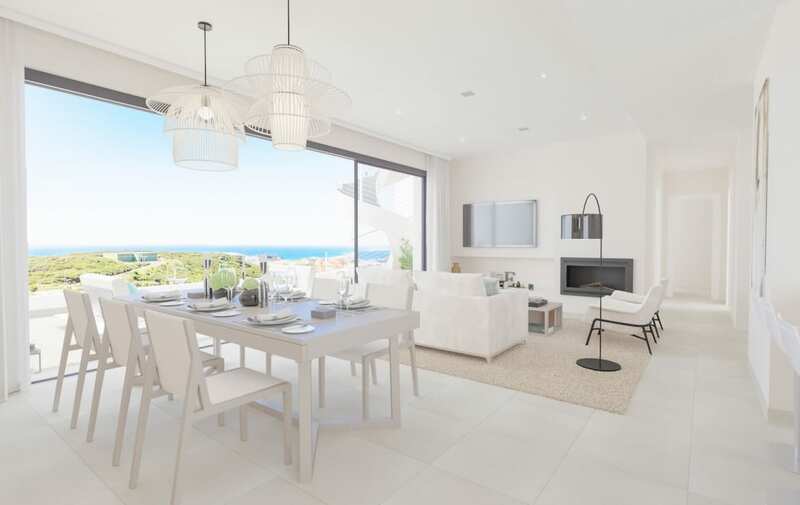 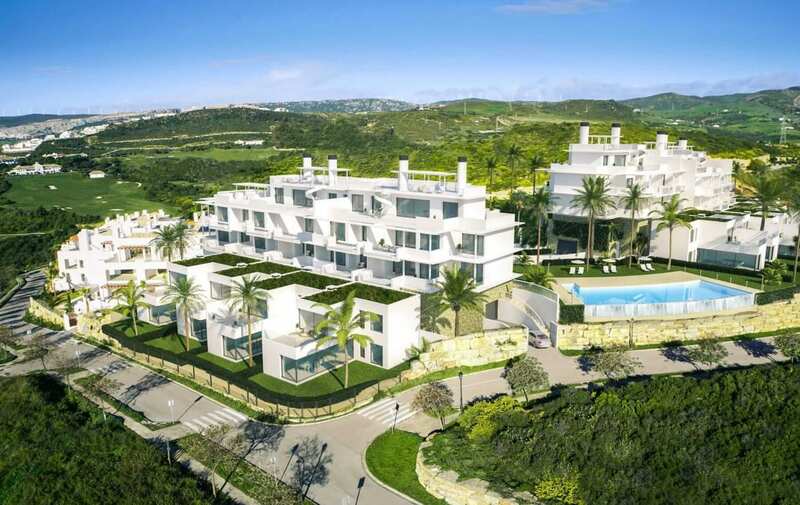 New apartments and townhouses in Casares with panoramic golf and sea views, located in a 5* golf resort Finca Cortesin. 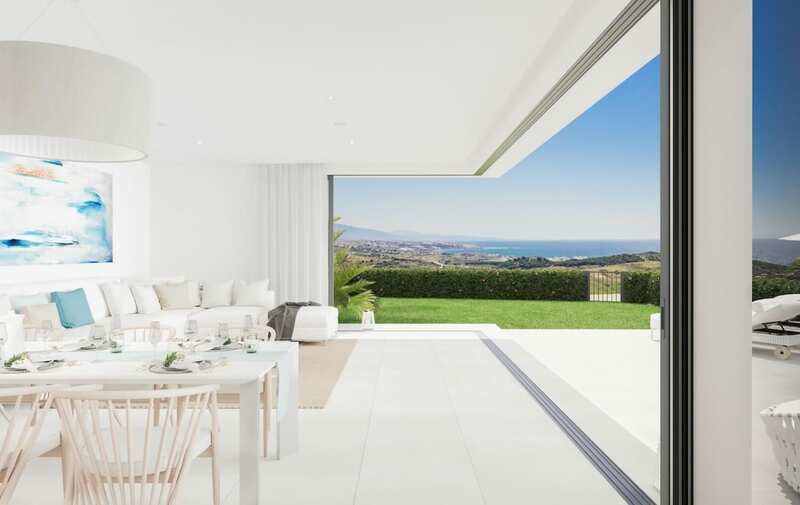 Thanks to its geographical position the views from the south or south-east facing terraces are simply spectacular. 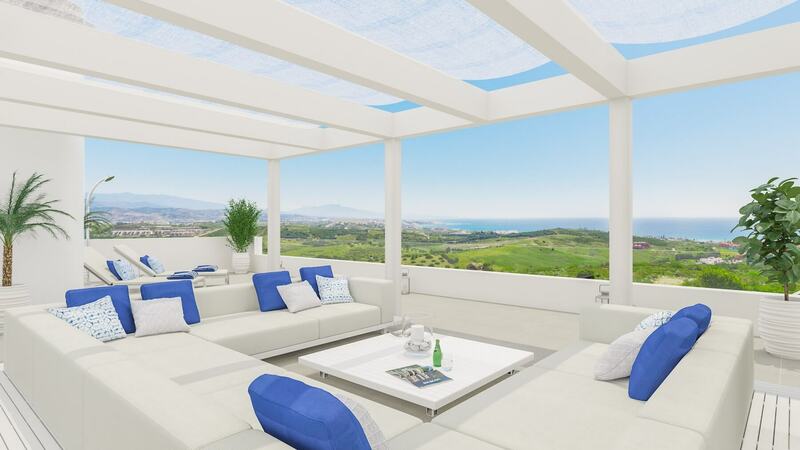 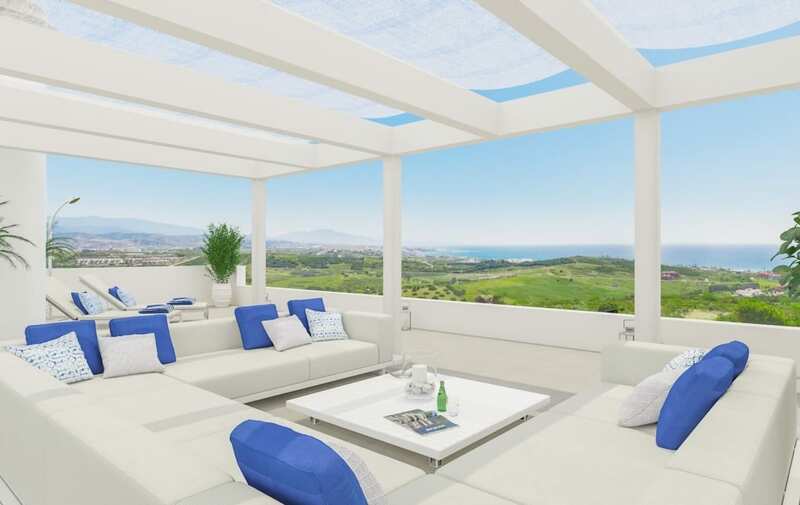 The uninterrupted views range from the gulf, over the Sierra de Marbella to Gibraltar and the coast of Morocco. 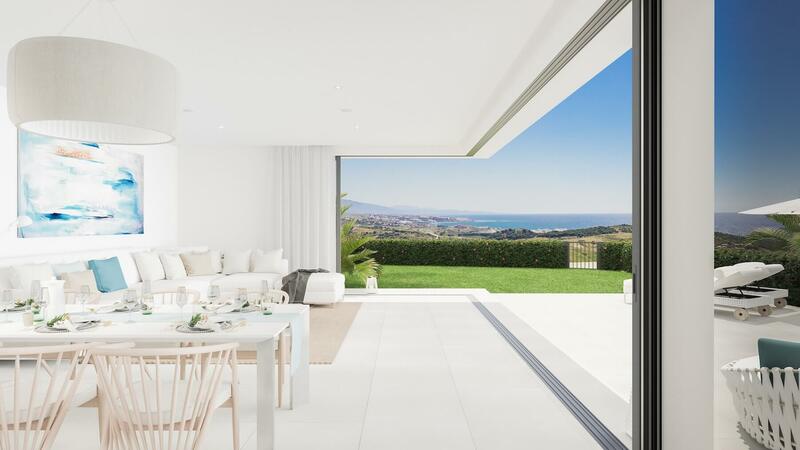 The 180º view of the Gulf and the Mediterranean Sea is a privilege that few can enjoy. 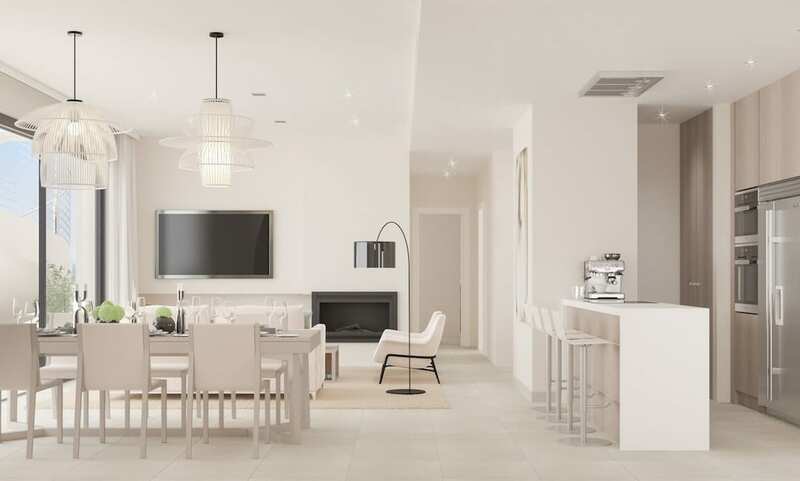 Large living rooms with integrated kitchens, fully equipped with Siemens appliances and an American fridge in the penthouses. 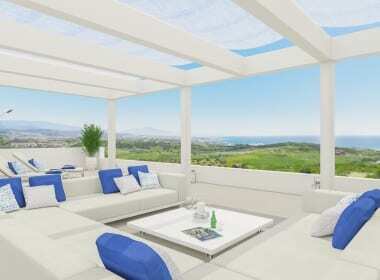 Terraces with glass balustrades for an unobstructed view. 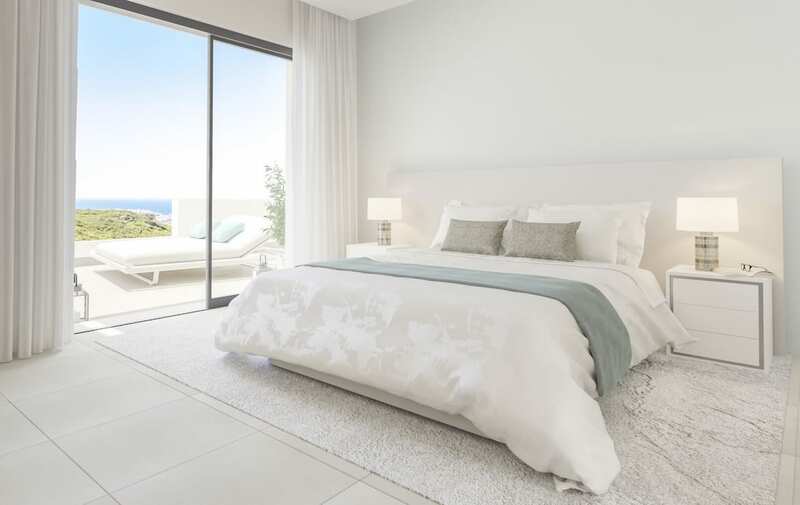 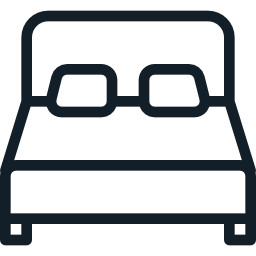 Large bedrooms with en suite bathrooms, wardrobes with LED lighting. 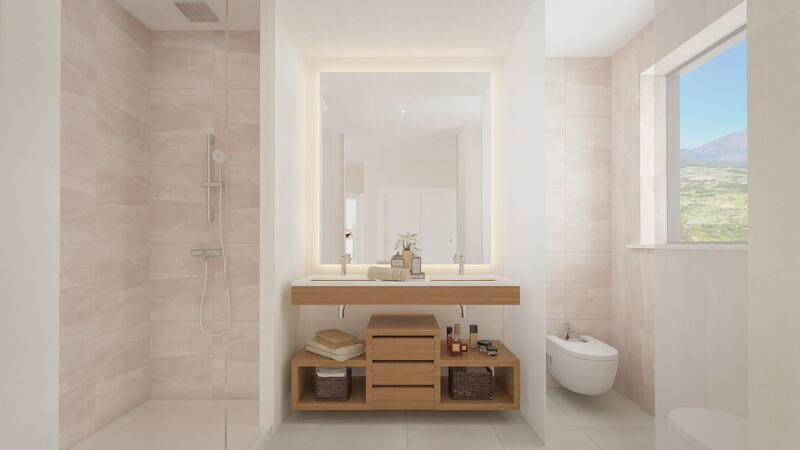 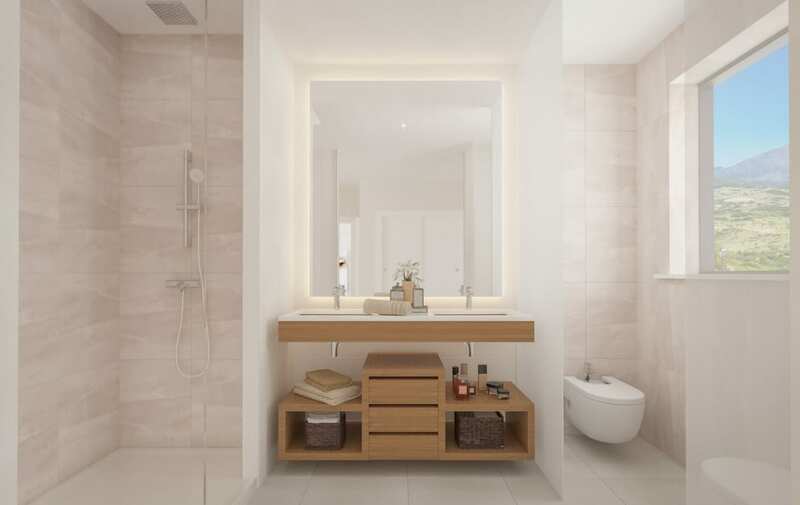 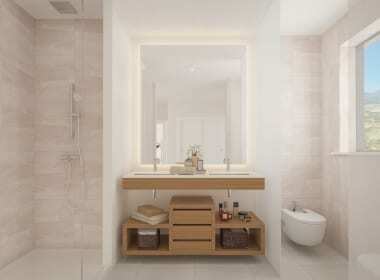 Bathrooms with rain shower and whirlpool in the penthouses and houses. 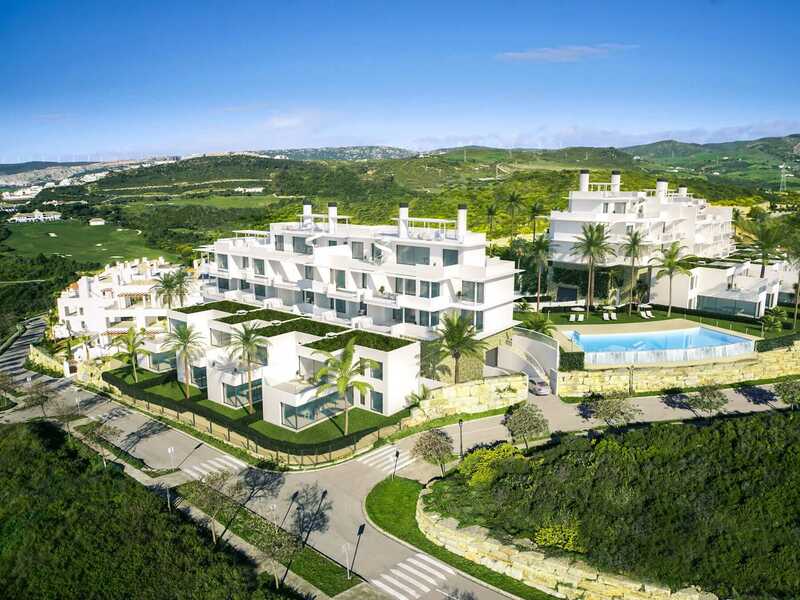 Close proximity to Finca Cortesin Hotel, Golf Resort, Restaurants and Spa. 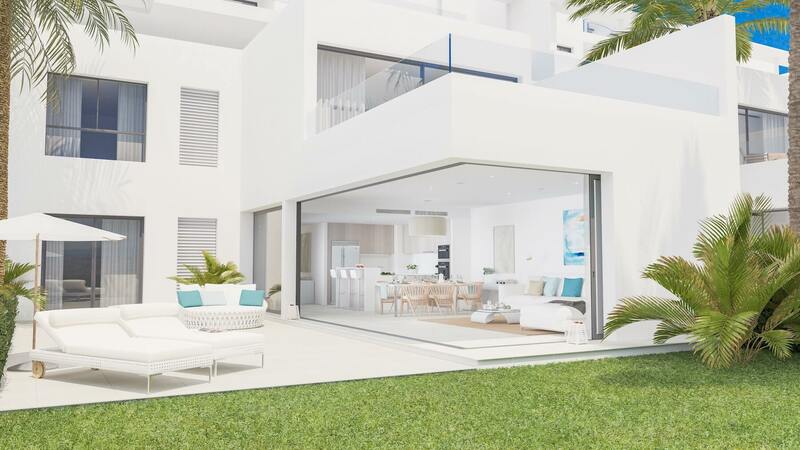 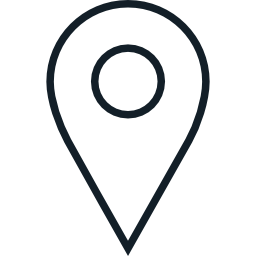 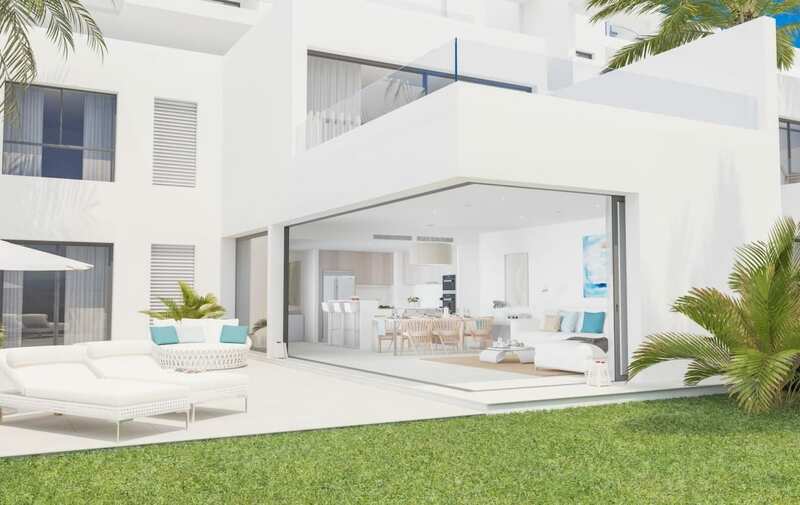 Las Terrazas de Cortesín Seaviews is an exclusive project with high-quality housing, spread over 3 blocks of only 44 units in total. 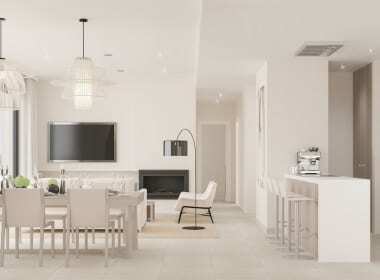 There are 18 apartments with 2 bedrooms, 8 apartments with 3 bedrooms, 3 penthouses with 2 bedrooms, 3 penthouses with 3 bedrooms, 10 houses with 3 bedrooms and 2 houses with 4 bedrooms.